August has already crept up on us and fall is near. It's time to mention a few Sigma favorites! Each month beauty bloggers and YouTube’s top makeup gurus always seem to have a favorite product from Sigma... we can't blame them! Keep reading to find out who they were and which products they loved for the month of July, plus what they had to say about them! And don’t miss the chance to enter for a chance to win one of our newest and top-rated products! Makeupbyfran has been reaching for the popular F80 to apply her foundation. She said, “I’m obsessed with this. It cuts the amount of product I need in half. It’s so perfect, I love it!” -- We agree! Sarahbelle93x is a fan of the new Beauty Expert - Brow Design Kit. The word she thought best fit to describe this kit was "amazing." -- We couldn't have said it better ourselves! And with that, it's time for this month's giveaway! 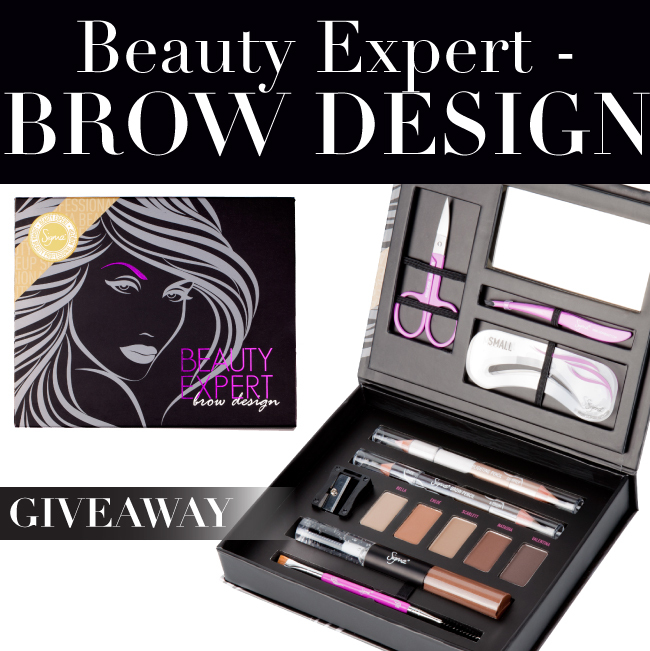 One lucky winner will receive the new Beauty Expert - Brow Design Kit! This latest Sigma product is one you won't want to go a day without! The kit contains all of the arching, shaping and grooming tools needed to achieve the most beautiful and defined brows. TO ENTER: Fill out the form below with your name, email address, and one beauty question you'd like to have our makeup artist answer for a future Q&A blog post. Winner will be selected at random and announced one week from today! Good luck, gorgeous! godd luck everyone! and sigma thanks for this giveaway! Buena suerte para mí!!!!! saludos! Yaaaayy giveaway and good luck guys. I'm so excited! I've been dying to try something from Sigma! I've never had the chance to but maybe I'll get lucky! Good Luck Everyone! thxs to sigma and good luck to everyone! Good luck every! Thank you sigma for the awesome give a way. Thank you Sigma !!! Hope to win as a birthday gift on Aug 15 :) Goodluck everyone! Good Luck everyone!!! I just purchased my first Sigma brush and excitingly awaiting its arrival. I need that Brow kit in my life. That's why Sigma created it! Fingers crossed, good luck !!!!!!!!! What makeup brushes do you recommend for abusy mom for quick application? Thank you so much for the giveaway! That's awesome! Me encanta este sorteo, espero ganar algo!!!!! Sigma thanks for this giveaway, it´s wonderful!!!! this is a very good giveaway! Thanks Sigma and hope that will be more! I would LOVE to win this! Best of luck everyone! Sigma, your the best! How exciting! I love these giveaways i hope i het the chance to win! : ) as im sure we all do. Im still wondering, i never found out who won the paris palette, i REEEEAAAALLLLYYY REEAALLY wanted that one, but am just curious who won it, cuz they're super lucky. Also where do u post the winners??? We always announce the winner in a blog post one week from the giveaway and contact them by email. Sweet giveaway! Good luck all:-) !! Good luck to everyone!! Everything I've tried from Sigma has exceeded my expectations!! Done! Good luck to all!